2,000-year-old Israeli date palm trumped by a 32,000-year-old Russian flower? One wonders if there is a Guiness Book category for this: the oldest recovered plant material to be successfully germinated, sprouted or otherwise regenerated to produce a new, viable plant. In any event, for the last few years the title has been securely held by a little date palm, sprouted from one of a handful of date pits excavated in the 1960s at the ancient mountaintop stronghold of Masada which fell to the Romans ca. 72 AD. 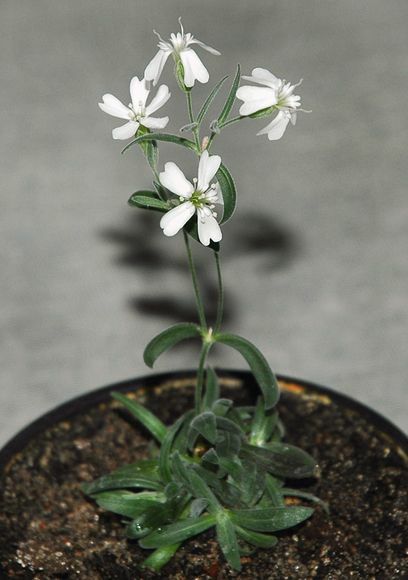 Now, it seems scientists in Russia have coaxed a flowering plant from the preserved fruit of an arctic species, the humble narrow-leafed campion. From the time it was buried by a squirrel in its burrow 32,000 years ago, until it was recently excavated, the tiny fruit lay permanently frozen beneath the Siberian tundra. The age of the seed has reportedly been confirmed by Carbon-14 dating. 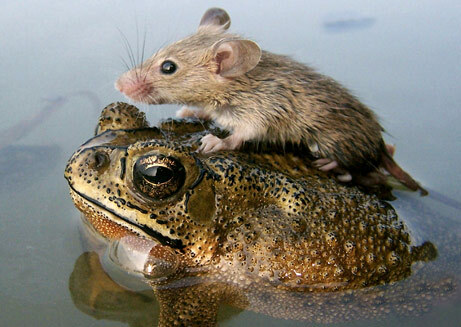 The story was reported by National Geographic and also by the N.Y. Times. 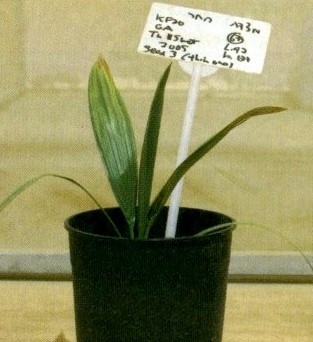 The Israeli plant, nicknamed “Methuselah”, was sprouted in 2005 and nurtured for its first few years at the Arava Institute for Environmental Studies at Kibbutz Ketura. The species, the Judean Date, which has been extinct for centuries, was apparently the tree depicted on certain Roman coins as a symbol of vanquished Judea in the wake of the Great Revolt. The story of the seed’s sprouting and growth has been much reported over the years; here is an offering from Haaretz in 2007. It was likewise featured in National Geographic in 2008. One caveat: As the stories about the Russian plant note, other such claims about the regeneration of ancient plant material have arisen over the years — wheat grown from grain found in the tombs of Egyptian pharaohs, for example — but later proved unfounded, so stay tuned on this. And one final thought: If these discoveries trigger a round of international one-upmanship, something akin to the rather silly “hummus wars” a few years ago (world’s largest dish of hummus) — at least this one may advance mankind’s scientific knowledge! This entry was posted in Plants & Animals, Science and tagged 2000-year-old, 32000-year-old, Arava Institute, campion, date palm, Masada, Methuselah. Bookmark the permalink. 2 Responses to 2,000-year-old Israeli date palm trumped by a 32,000-year-old Russian flower? I dimly recall that genetic manipulation of a single surviving male “Soufrierre” tree from St Vincent, West Indies, yielded some females which could then regenerate the species. Perhaps the custodians of the Methusela Palm could contact the St Vincent Botanic Garden to learn how this was done. . . Thanks for your comment — Very interesting. Yes, I believe the recent news on Methuselah is: “It’s a boy!” The people caring for the tree, last I knew, were at the Arava Institute for Environmental Studies. If you want to suggest the genetic manipulation angle to them, here’s the web-site: https://arava.org/.